KEY TECHNOLOGIES: The thin walls that connect the face and sole contribute to added pop on low misses. PLAYABILITY: The hybrids are super easy to get airborne and headed toward the target; the irons are somewhat workable, much more so than the matching hybrids; the dominant high trajectory can be altered a smidge to suit your needs. ACCURACY/FORGIVENESS: Hybrids offer significant help on misses -- shots fly high with minimal sidespin, producing plenty of straight shots; irons can compensate for directional misses. DISTANCE CONTROL: Fairly hot, but you can throttle back when you want; you can swing hard and hit it long without getting out of control. FEEL: Muted sensation will never shock your hands; not as lively as some models, but it gives you enough info to know how you’ve hit it; the hybrids have some explosive pop at impact. LOOK: Compact, glossy-black hybrids are tastefully done, and the contrasting silver face helps alignment; silver irons have gray scoring lines to frame the ball. The hybrids far outshine the irons; overall, the irons are a tick less forgiving than some of their peers -- not as stable as others through the hitting zone. 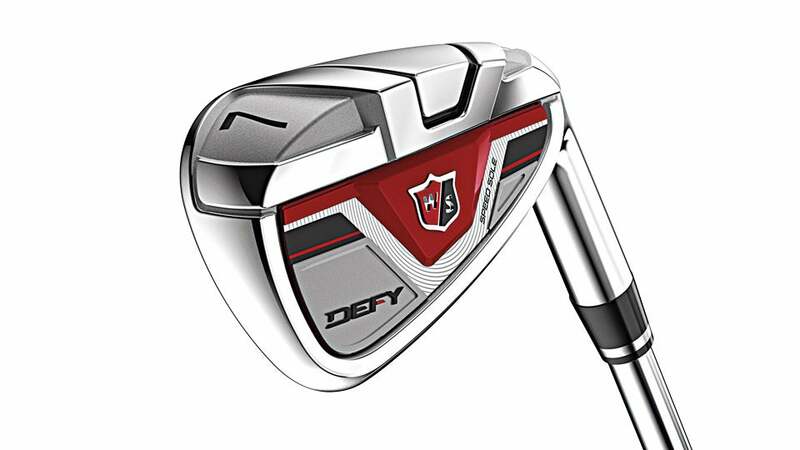 BOTTOM LINE: The Defy is an interesting combination set that offers a decent blend of distance and versatility. The hybrids are the best part and would be worth a look on their own.